“We live in an era of unprecedented innovation in pharmaceuticals, diagnostics, medical devices, and food and nutrition science. Such innovation offers unprecedented opportunities to advance and improve public health. It is essential that we at FDA keep pace with these changes, especially the evolving science that underpins them, in order to fulfill our regulatory responsibilities effectively and efficiently.” Stephen Ostroff, M.D. , Acting Commissioner of Food and Drugs, Remarks at 2015 FDLI Annual Conference Washington, D.C. April 20, 2015. “Right now, we spend 15 years and half a million dollars or more in development, the drug gets tested in 10,000 patients and usually fails. You then do statistical number crunching to find the subpopulation that might respond, and if you’re lucky you find it, and then have to repeat the process. These (developments) allow you to take advantage of primary cells and stem cells from patients and you can do it for subpopulations.” Don Ingber, Keynote presentation at SLAS 2015. “NCATS aims to get more treatments to more patients more efficiently,” said NCATS Director Christopher P. Austin. “That is exactly why we are supporting the development of human tissue chip technology, which could be revolutionary in providing a faster, more cost-effective way of predicting the failure or success of drugs prior to investing in human clinical trials.” Vanderbilt Research News, Vanderbilt’s neurovascular chip project moves into new phase by David Salisbury Nov. 18, 2014. "Mice are mice, and people are people. If we look to the mouse to model every aspect of the disease for man, and to model cures, we're just wasting our time.... [The mouse] has cost us a new generation of medicines... The vast majority of the money that we spend in clinical trials based on mouse data is completely wasted... We keep getting led down the garden path. We've had thousands of mouse studies of tuberculosis, yet not one of them has ever been used to pick a new drug regimen that succeeded in clinical trials. This isn't just true for TB; it's true for virtually every disease. 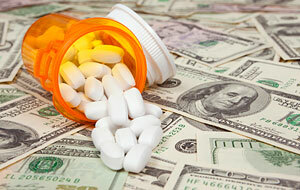 We're spending more and more money and we're not getting more and more drug candidates." Clif Barry, Chief of the Tuberculosis Research Section, National Institute of Allergy and Infectious Diseases, Bethesda, Maryland, November, 2011 Read more. "Unfortunately, novelty does not easily penetrate into the pharmaceutical environment and, in particular, the very conservative world of safety sciences, which all too readily responds with the often heard boring refrain of 'the regulators won't accept these new approaches'! The safety science community should be reminded that regulators expect them to take the initiative to improve their sometimes catastrophic record in predicting clinical drug safety as a result of their investigational efforts." Dr. Icilio Cavero, reporting on a Safety Pharmacology Society workshop held at Pfizer, Kent, 13th February 2007. Expert Opinion Drug Safety, 6(4):465-471. "Currently, nine out of ten experimental drugs fail in clinical studies because we cannot accurately predict how they will behave in people based on laboratory and animal studies." Mike Leavitt, Secretary of Health and Human Services, U.S. Department of Health and Human Services (Food and Drug Administration press release, FDA Issues Advice to Make Earliest Stages of Clinical Drug Development More Efficient, January 12, 2006). "Consider just one stark statistic: Today, nine out of 10 compounds developed in the lab fail in human studies. They fail, in large part because they behave differently in people than they did in animal or laboratory tests." Andrew C. von Eschenbach, M.D. then Acting Commissioner of the FDA (prepared statement for FDA Teleconference: Steps to Advance the Earliest Phases of Clinical Research in the Development of Innovative Medical Treatments, January 12, 2006). "Given that many of these investigational anticancer drugs eventually fail, the animal models on which clinical trials are predicated must at best be limited in power, and at worst wildly inaccurate." Dr Alexander Kamb, Global Head of the Oncology Disease Area at the Novartis Institutes for Biomedical Research, Nature Reviews Drug Discovery, 4, 161 - 165. "The problem with animal carcinogenicity tests is not their lack of sensitivity for human carcinogens, but rather their lack of human specificity. A positive result has poor predictive value for humans." Knight, Bailey & Balcombe, British Medical Journal USA, Vol. 5, p477. "Most of the animal tests we accept have never been validated. They evolved over the past 20 years, and the FDA is comfortable with them." Anita O'Connor, Office of Science, FDA 1998 (personal communication). "In Tamoxifen's case, a drug first developed as a potential contraceptive languished for many years before its present application was found. Furthermore, its propensity to cause liver tumours in rats, a toxicity problem that thankfully does not carry over into humans, was not detected until after the drug had been on the market for many years. If it had been found in preclinical testing, the drug would almost certainly have been withdrawn from the pipeline." Nature Reviews Drug Discovery 2003; 2:167. "In the face of these shortcomings, many experts believe the scientific value of the 2-year bioassay is highly limited—barely worth the investments in personnel, animals, money, and time." Charles W. Schmidt (Schmidt CW, 2002). "HIV/AIDS [animal] models have not yielded a clear correlate of immunity nor given consistent results on the potential efficacy of various vaccine approaches." Johnston MI. The role of nonhuman primate models in AIDS vaccine development. Molecular Medicine Today 2000; 6: 267-270. "The standard carcinogen tests that use rodents are an obsolescent relic of the ignorance of past decades." Philip Abelson, Editor of Science. Science (1990), Sep 21, p 1357. "Ultimately, the answers to many of our questions regarding the underlying pathophysiology and treatment of stroke do not lie with continued attempts to model the human situation more perfectly in animals, but rather with the development of techniques to enable the study of more basic metabolism, pathophysiology and anatomical imaging detail in living humans." Wiebers DO, Adams HP, Whisnant JP. Animal models of stroke: Are they relevant to human disease? Stroke 1990; 21: 1-3. "Candidate antivirals have been screened using in vitro systems and those with acceptable safety profiles have gone directly into humans with little supportive efficacy data in any in vivo [animal] system. The reasons for this are complex but certainly include the persistent view held by many that there is no predictive animal model for HIV infection in humans." Wyand MS. The use of SIV-infected rhesus monkeys for the preclinical evaluation of AIDS drugs and vaccines. AIDS Research and Human Retroviruses 1992; 8: 349-356. "We always have a battle on the issue of what to do with the animal data." Dr. Edward Stein, Health Scientist, US Occupational Safety and Health Administration (Brinkley, 1993). "So much evidence has accumulated that chemicals frequently have wholly different effects in animals and humans that officials throughout government and industry often do not act on the studies findings." Brinkley, Joel, New York Times, Many say lab-animal tests fail to measure human risk, March 23, 1993, p A1. "The history of cancer research has been a history of curing cancer in the mouse," said Dr. Richard Klausner, director of the National Cancer Institute. "We have cured mice of cancer for decades--and it simply didn't work in humans." Dr. Richard Klausner, director of the National Cancer Institute, Los Angeles Times article Cancer Drugs Face Long Road From Mice to Men May 6, 1998. "The methods of assessing toxicity in animals are largely empirical and unvalidated...It is urgently necessary to know whether the tests as in fact conducted have sufficient predictive value to be justifiable, or whether they are a colossal waste of resources to no good purpose." Professors Laurence, McLean and Weatherall, writing in the introduction to their book, Safety Testing of New Drugs - Laboratory Predictions and Clinical Performance, ed. DR Laurence, AEM McLean & M Weatherall, publ. Academic Press, 1984. "Extrapolating from one species to another is fraught with uncertainty...For almost all of the chemicals tested to date, rodent bioassays have not been cost- effective. They give limited and uncertain information on carcinogenicity, generally give no indication of mechanism of action, and require years to complete. [They are] rarely the best approach for deciding whether to classify a chemical as a human carcinogen." Dr. Lester Lave, of Carnegie Mellon Univ., and Drs. Ennever, Rosenkrantz and Omenn, writing in Nature, Vol 336, p 631, 1988. "Surely not even the most zealous toxicologist would deny that epidemiology, and epidemiology alone, has indicted and incriminated the cigarette as a potent carcinogenic agent, or would claim that experimental animal toxicology could ever have done the job with the same definition." Dr. Michael Utidjian, writing in Perspectives in Basic and Applied Toxicology, p 309-329, ed. Bryan Ballantyne, publ. Butterworth, 1988.